As a recent or upcoming college graduate, seeking employment in the communications industry can be daunting. While it is a beneficial degree in that you can do so many different things with it, it can also be overwhelming as you begin to make plans to enter the real world. When it comes to jobs in the public relations or communications world, the sky is the limit! However, as you get further into your job research and networking, you have likely stumbled up on the age-old question in PR: Agency or In-House? An agency has the fast-paced allure that many college graduates seek – quick deadlines, crisis management and the creative culture can make it attractive for a young professional. But that doesn’t mean that it’s the right fit for everyone. Let’s break down a few of the key differences between working for a PR agency and working in-house. Working for an agency, you will likely have anywhere between six to nine clients at any given time. Exciting right? It also means that you will need to learn and retain the ins and outs of the company, including product details, services, internal teams, company culture and more. Despite weekly touch bases or constant communication, it can also be challenging at times to be looped in to all of the company updates. You are also expected to provide guidance to often-understaffed marketing teams regarding which activities are better suited for press releases, social posts or internal communications with a balance of PR knowledge and their company expectations. When you work within a company, you live and breathe that culture, its policies and offerings. It can be easier to be aware of what’s going on such as new hires or product rollouts, allowing for a more manageable and fluid workflow. 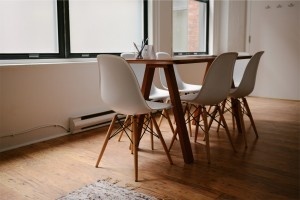 Agencies are often creative, open and team-oriented environments. Being a team player is extremely important in an agency setting as you often work with colleagues with similar skill sets. Companies are more structured, corporate environments and teams are comprised of colleagues from different departments, such as legal, marketing, product development and operations. Many departments come together to bring their different areas of expertise to the table. Typically, agencies are faster-paced than an in-house team. For example, you could have two clients decide to make a big announcement with a press release on the same morning and your team is responsible to handle media outreach for both. Every client is your #1 priority, so organization and time management is key. When you work within a company, workflow can often be slower paced as you have a better idea of what’s coming thanks to internal communications. An account manager, at any level, could work on anything from drafting a press release to writing social content to managing the creative process between the client and the agency designers. While you may develop a specific area of expertise, you are expected to be knowledgeable in a wide range of areas and to constantly be learning new tools and skills. Within a company, employees often have very specific roles and specialize in just that area. Within a marketing team, there may be a PR specialist, digital marketer and an internal communications contact. These people stick to what they know and work together to offer the company the integrated approach. As an added benefit to working for an agency, there is often the opportunity to improve your leadership skills. Recent graduates can take initiative to support or lead agency projects and can learn quickly to manage co-workers with intern programs. Does an agency still feel like the right fit for you? Great! Practice honing in on your time management skills, eagerness to learn new tools and industries (i.e. your client’s!) and your ability to juggle multiple roles with the firm and take a look at our openings.